Diesel demand in the used vehicle market continues to defy the new car market, while the overall used market remains strong. Latest Manheim figures issued by parent firm, Cox Automotive for June show the overall average sold price continued to increase, up 3% from £6,649 in May to £6,816 in June, while wholesale volumes in the £10k to £20k price bracket experienced a double-digit growth of 16%. Diesel wholesale volumes reflected the overall increase in the mid-range (£10k to £20k) price bracket with a 14% year-on-year increase, despite continuing media negativity surrounding the fuel – latest SMMT half-year figures for new cars show total diesel registrations tumbled 30.2% compared to the first six months of 2017, reaching a total of 428,612 and giving it just a 32.6% market share compared to 43.8% a year ago. The Manheim data also shows the average diesel value in June was £8,680, a YoY increase of 9.5%. Meanwhile petrol volumes increased by 22% in the £10-20k price range while the average petrol value for June was £5,015, a YoY increase of 15.6%. 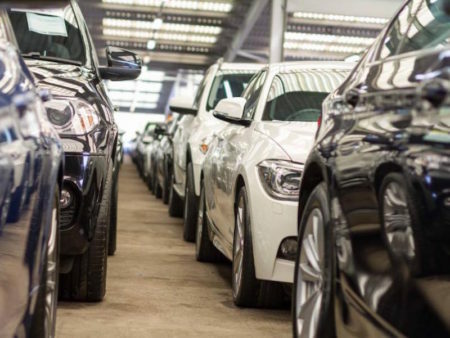 In contrast to Manheim, Cox Automotive’s car search platform, Motors.co.uk, reported a slower retail market, with a reduction in average sold prices of vehicles, down 10% since May, from £13,373 to £11,970.